The Zealous Crop command crops an image using a single solid color as a guide. 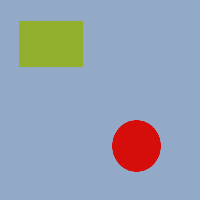 It crops the edges, as with the Autocrop command, but it also crops the areas in the middle of the image which have the same color (at least, in principle). Please note that Zealous Crop crops all of the layers, although it only analyzes the active layer. This may lead to a loss of information from the other layers. You can access this command from the image menu bar through Image → Zealous Crop.